Last week I celebrated my 'lune de miel' ( love this word) in Paris. It was so nice to be back in this beautiful city! Actually we did nothing more then eat, eat, have a wine or two and eat again. So in this new and fresh Localilo report I am showing you some lovely spots! 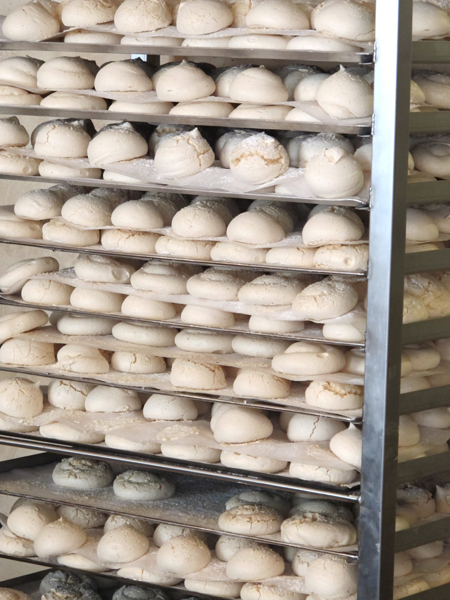 * eat: La Duree, maybe unnecessary to say, but really.... they absolutely make the best macarons and tarte du framboise you ever had! Eat it on a good & lovely spot somewhere in Paris and your day will be fabulous. ( Oh my, the raspberries were even bigger then my thumb!!! * restaurant: eating in Paris, I love it! Just to give you some great ideas of the hundreds of possibilities: La maison mere, Le train bleu, Rose bakery Marais, Hotel l'amour. * shop: Merci, a beautiful concept store with 3 floors where you'll find pretty goodies, beautiful clothes ( unfortunately a bit expensive) a nice cafe and restaurant and where you can sniff around for hours. And because of the rain it was the perfect afternoon activity somewhere in the 3th arrondissement. * sleep: Hotel Joyce, a lovely stylish hotel in the middle of the 9th arrondissement. Light beautiful rooms, design, free WiFi and a perfect breakfast. 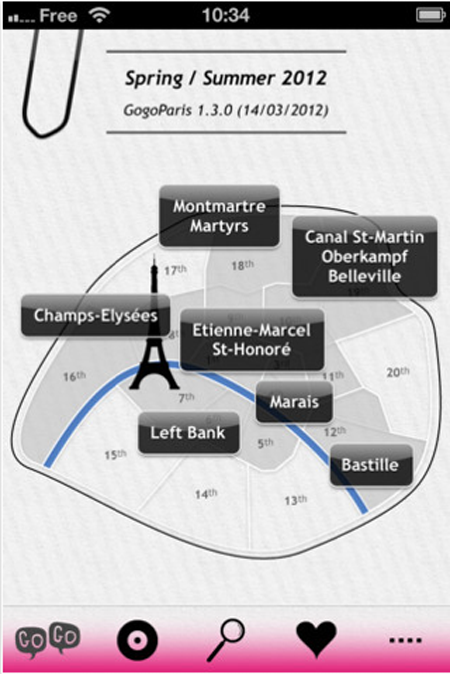 * guide: GoGoparis, with this handy app on your phone you'll be as in-the-know as any Parisian about what's happening around town now. 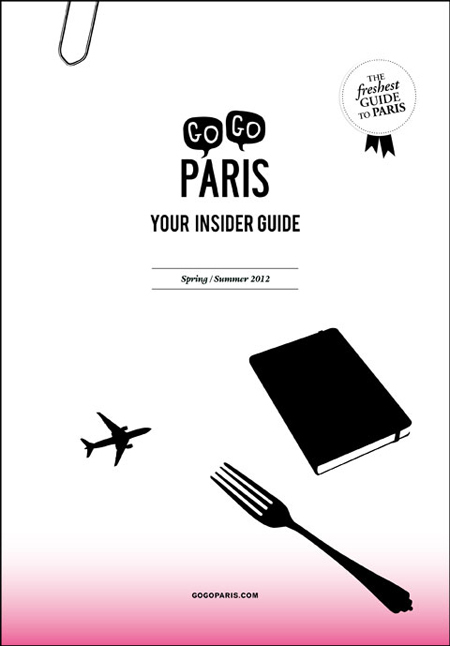 Written by a Paris-based team, the guide has a special focus on local designers, independent boutiques, small neighborhood bars and fresh new restaurants.